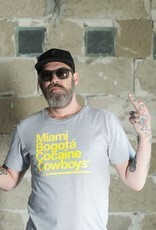 Finally we can offer it again: Miami 2 Bogotá. 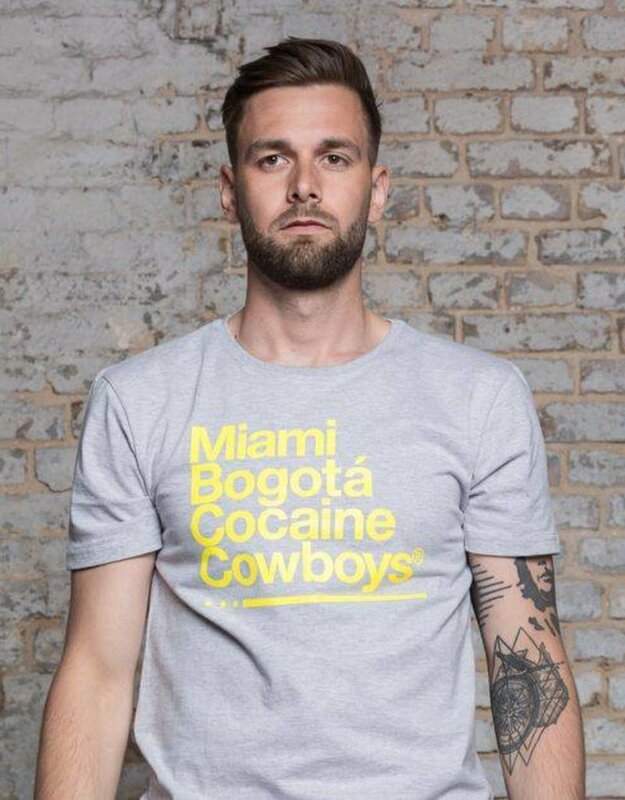 Our legendary t-shirt. 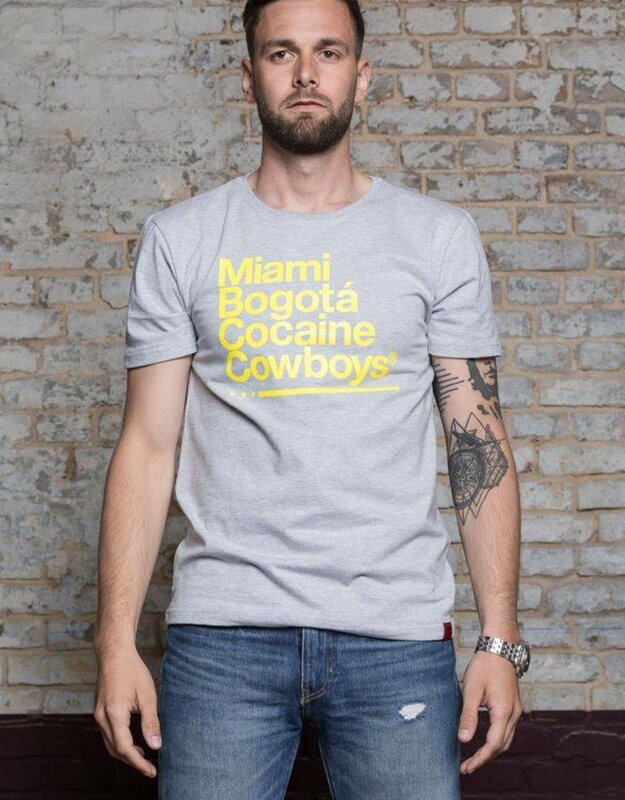 This cool cotton t-shirt is your start in an exciting time. It will be your companion for every day and many nights. 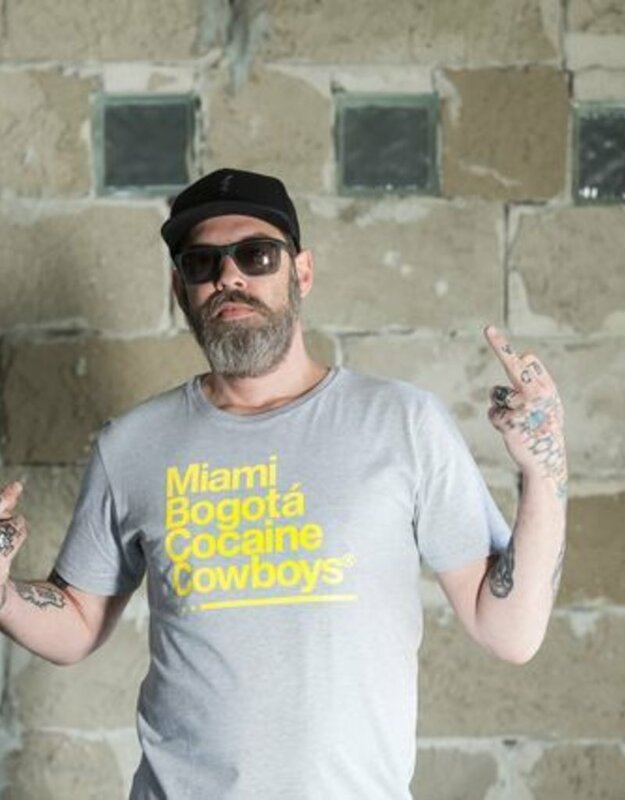 The success story of our brand started with this t-shirt. The print is big but really cool. 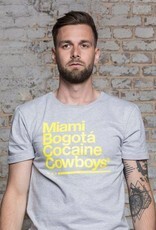 The brand logo of the Cocaine Cowboys is sewn on the side of the hem and completes the design.